The country of Malaysia, located in Southeast Asia, is an incredible mixing pot of cultures. 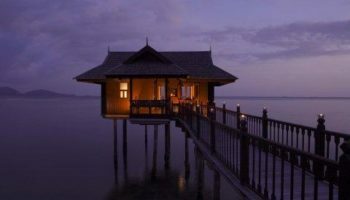 Bordering everything from Thailand and the South China Sea to Brunei and Indonesia, Malaysia has a central location that shouldn’t be skipped when exploring Southeast Asia. What makes Malaysia so fascinating is its diversity. In the same country, you can explore thriving, modern cities, explore colonial architecture, relax on some of the most beautiful beaches on the planet and hike through lush green jungles. Here are just some of the top reasons to visit Malaysia on your next trip to Asia. 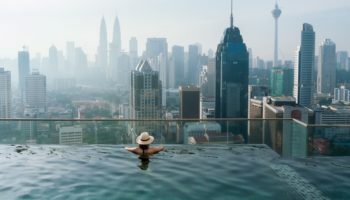 The city of Kuala Lumpur is a fantastic place to admire the more modern architecture found in Malaysia, and in particular the contemporary skyscrapers that create one of Asia’s most iconic skylines. 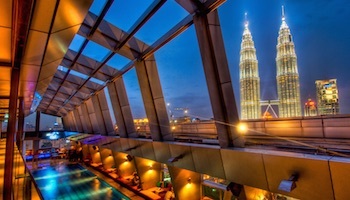 If possible, take time to see the Petronas Twin Towers in the district known as the Golden Triangle. 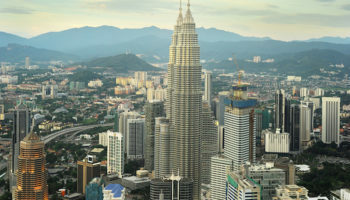 Once the tallest buildings in the world, and now connected by a skybridge, the Petronas Twin Towers are just a short walk from other incredible structures like the KL Tower and its viewing deck. 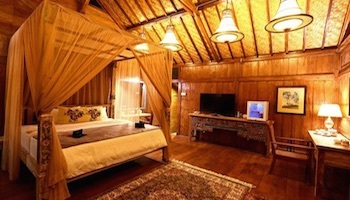 Malaysia has been influenced and colonized by cultures from around the globe. Proximity to China means that Malaysia is home to excellent Chinese cuisine and a vibrant heritage. You can experience this influence first hand by exploring one of the Chinatowns in Malaysia, the largest of which is in George Town. In this Chinatown, you can see a 200-year-old Kuan Yin Teng Temple or indulge in the local street fare. Don’t miss dining at one of the local dim sum restaurants or trying the hot egg waffles sold from vendors right on the street. The tea industry has long been a part of development and trade in Malaysia, particularly in areas like the Cameron Highlands. There, near the highest point of the country, temperatures are cool enough for tea plantations. In the Cameron Highlands, you can take a guided tour of the nation’s largest tea company, hike through the plantation itself or sip local teas at some of the smaller plantations in the vicinity. Hiking may not be the first thing that comes to mind when thinking about Malaysia, but the country actually boasts a number of excellent hiking spots. None, however, can compare to Mount Kinabalu. In the state of Sabah, Mount Kinabalu boasts miles of hiking trails that pass through six distinct vegetation zones at varying elevations. To climb the entire summit, expect to spend two days hiking with a night of camping in between. 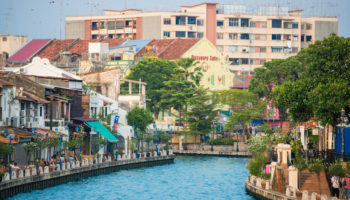 With Malaysia’s long colonial history, it boasts an array of colonial architecture. If you’re interested in this blast from the past, there can be no better spot to visit than Melaka. The city has been ruled by the British, the Dutch and the Portuguese, and its architecture reflects that. Just some of the buildings you can explore include the ruins of a 16th century Portuguese fortress, the oldest Protestant church in Malaysia and the Stadthuys Town Hall, which still stands as the oldest as well as the largest Dutch colonial building in the region. One of the most popular reasons to visit Malaysia is for the chance to go diving. Just off the tip of Malaysian Borneo is Sipidan, known as one of the world’s best dive sites. Diving in Sipidan’s protected waters is limited to just a set number of people each day, and it provides the chance to see things like turtles, barracudas, sharks and parrotfish. If you can’t make it to Sipidan, islands like Redang and Tioman are also excellent, although their diving seasons are more limited. Perhaps the most fascinating aspect of Malaysia is its diverse culture. In addition to colonial influences, there are a mixture of Asian cultures present in the country. Malays make up approximately half of the population, Chinese make up roughly one quarter and there is a strong Indian community. In addition, the Orang Asli people, a group indigenous to Malaysia, still makes up 12 percent of the population. These groups live together harmoniously in Malaysia and give the country its vibrant culture and heritage. Much of Malaysia is undeveloped, allowing wildlife to roam freely. One of the top spots to admire wildlife in its natural habitat is in Taman Negara National Park. Among waterfalls and canopy walks, you can spot tapirs, wild boar, deer, monkey and countless birds and insects. 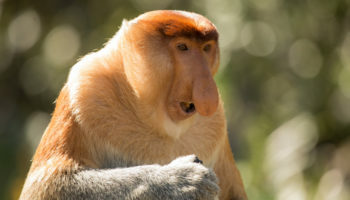 In Borneo, you may be able to see even bigger animals, and guided tours can get you up close and personal with the likes of elephants, tigers, rhinos and orangutans. 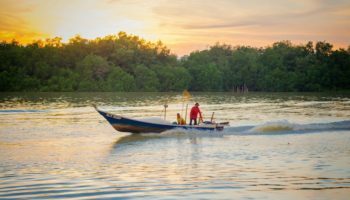 Malaysia is a tropical country with a warm climate and miles of coastline, so it should come as no surprise that beaches are plentiful. 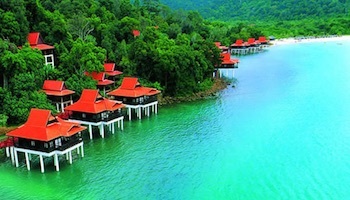 While there are excellent beaches on the mainland, it is Malaysia’s islands that are the most popular for beach lovers. 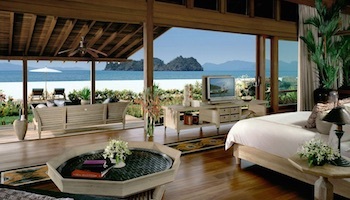 Langkawi is the ultimate spot for a relaxing beach vacation, complete with shopping and dining. If you’re after a more secluded, less touristy getaway, Redang is a pristine island that also serves as a turtle sanctuary. In Sarawak, on the island of Borneo, is Gunung Mulu National Park. This park has a history dating back for more than 3,000 years, and it is best known for its incredible caverns. On guided tours, you can explore Turtle Cave, the so-called Garden of Eden or the Wind Caves, all of which are in the park. Some caves require you to bring flashlights and rapel, but others are simple strolls in incredible environments. If you’re staying closer to Kuala Lumpur, you can set off on a day trip to the Batu Caves, which are made from limestone and offer some challenging hikes as well as amazing scenery.